1. Is there a quality system? Is one in the process of being designed? 2. Does a Quality Manual exist? Does it define responsible authorities and their effect on Quality? 3. Do you have a documented procedure for dealing with non-conformities? Are non conformities reviewed, analyzed, and communicated to Advanced Metal Etching? Are written responses returned in an appropriate time frame? 4. Is there a Quality department? 5. Do you have documented and scheduled upper management meetings to review the quality effectiveness? 6. Do you review contracts at the time of acceptance? Do you match purchase orders against the request for part numbers, material specs, or design? Are the audits documented for review? 8. Are there documented procedures and work instructions? 9. Do you have a documented procedure for calibration of measuring equipment? Are calibration dates, issues, and re-calls documented? Are calibrated devices traceable to national standards and is the verification on file? 10. Is purchased material inspected upon receipt? 11. Do you use SPC to monitor and control your process? 12. Are all products and materials inspected and documented prior to shipping? 13. Is your handling, packaging, and shipping adequate to preserve the quality during shipment? Are you willing to meet a customer's packaging and shipping requirements if it is not part of your normal process? 14. Do you have a procedure for identifying and segregating nonconforming material/product? Do you perform root cause analysis to resolve a nonconforming issue? Do you perform corrective action to verify the resolution of a non-conformance? 15. Do you have a system to review current and revised document during your process? Do you have a master list of documents and current revisions? 16. Do you rate your supplier's based on a performance level? 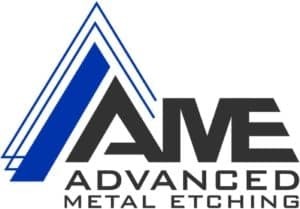 Would you welcome a representative from Advanced Metal Etching to perform an on-site visit? 17. Do you have a system to monitor Advanced Metal Etching's requests/orders?